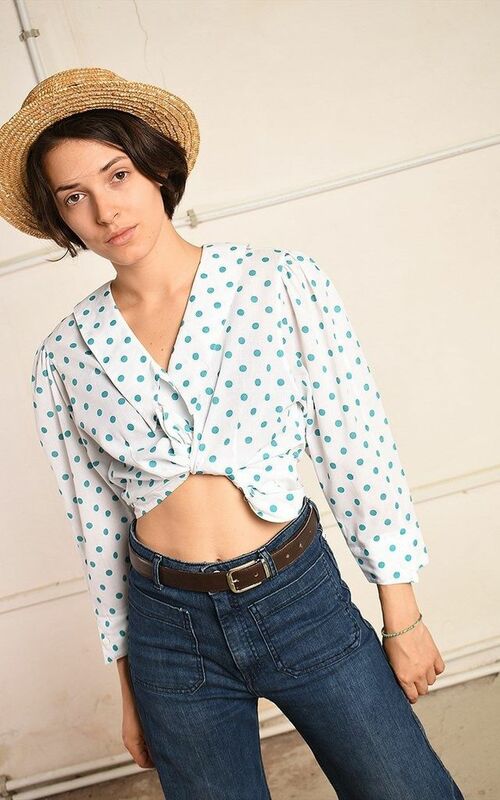 Cool vintage 80's retro polka dot print Paris chic shirt top. Buttons down. Great condition. Size fits UK 12. The model size is UK 6-8. Length - 60 cm. 33% viscose, 67% polyester. Delicate wash. Browse our full collection for other matching items. Size fits UK 12. The model size is UK 6-8. Length - 60 cm.